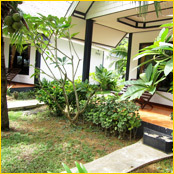 Lanta Ilmare Beach Resort is moderated resort that located at Klong Nin Beach. Here,is perfected place for you relaxation and peace of mind. We welcome with service mind and warmly as your home. On 2 acers, has everything on needs to achieve your desired. 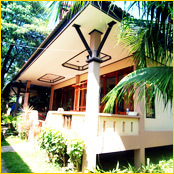 Beautiful gardens and walkways throughout the resort, swimming pool closely beach, lively bar and clean Bungalows. 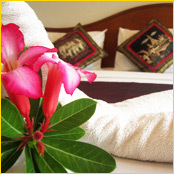 We provide 32 rooms which is fully facilities such as Air conditon, Satellite TV, Hot Shower, Mini Bar, fridge, Dressing table, Wardrob and private balcony. They are divided out 5 different types for your choices which are following as: The deluxe Beach Front, Deluxe Garden, Deluxe Room, Family Suite and Garden Villa.